Michael is a chartered chemical engineer who has been working at Hunter H2O/Hunter Water Australia since December 2009. 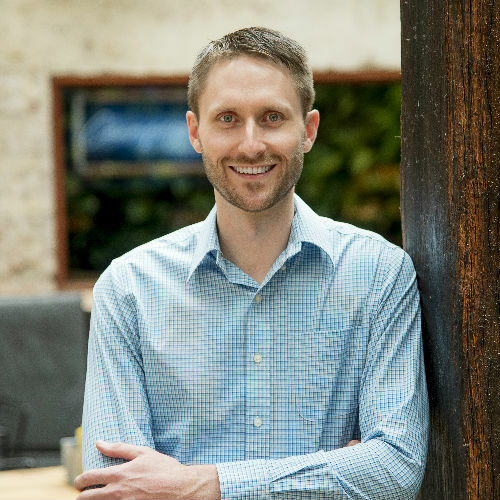 As a highly motivated and performance driven process engineer working at Hunter H2O over the last 9 years, Michael has a proven track record of providing customised solutions for his clients. Michael has developed a wide range of operational and troubleshooting skills through extensive pilot plant and desktop jar testing experience, executing more than 5 pilot plant studies and over 27 jar testing and desktop level investigations, involving clarification, filtration, dissolved air floatation, organics removal, manganese oxidation, chlorine demand, disinfection by-product formation and soluble metals removal. Michael established, commissioned and operated the Dungog WTP DAF Filtration pilot plant for over 12 months in NSW and the Huia WTP DAF Ozone/BAC pilot plant for over 5 months in New Zealand. Michael has also gained extensive experience having successfully completed options assessments, feasibility investigations, concept and detailed designs for a variety of projects for clients across Australia and New Zealand, including in the last three years: Gregory WTP, Kalkie WTP, Capalaba WTP, Baradine WTP, Barraba WTP, Huia WTP, Image Flat WTP, Landers Shute WTP, Manilla WTP, Mardi WTP, North Pine WTP, Noosa WTP, North Stadbroke Island WTP, Wagga Wagga WTP, and Wauchope WTP. For these project he applied his knowledge and experience in developing and undertaking mass and solids balances, process unit sizing, general site arrangements, process design, P&ID development and drafting, plant control philosophy’s and functional descriptions, HACCP and HAZOP studies, risk based cost estimating, technical specifications, tender documents, construction technical support and commissioning.